Meet the friends of Emerge contributing their expertise to help the festival achieve its vision. Culture24 is working with an informal group of Strategic Advisors as we develop Emerge, a new Lates festival. With experience in business development, cultural management, research and the night-time economy, these individuals are a valuable source of support. Philip Kolvin QC is a barrister specialising in the regulation of the leisure industry. He is Head of Cornerstone Barristers, a Patron of the Institute of Licensing, a Fellow of the Royal Society of Arts, a Board Member of the Sports Grounds Safety Authority and a Director of Crystal Palace Park Trust. He is a former Chair of the Institute of Licensing, Purple Flag, Best Bar None and the Night Time Commission for London. 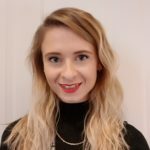 Cate Milton is Customer Experience Programme Officer for Historic Royal Palaces. Before this she spent two years managing events for English Heritage sites in London and the East of England. Cate brings expertise in public programming and customer experience within the heritage sector, including initiating and championing late programmes in the capital. Dr Peter Ride is the Course Leader for the Masters in Museums, Galleries and Contemporary Culture at the University of Westminster and new media arts curator. His research examines multi-sensory visitor engagement and how digital media and interdisciplinary arts projects are presented within galleries and museums. Lianre Robinson is Client Services Director at LADbible Group, one of the most prominent social video publishers. She is a trustee for Culture24 and a mentor on the SheSays mentoring programme Who’s Your Momma. Lianre was previously a director at Livity, a youth-led creative network specialising in involving the target audience in campaign, content and creative development. Spike van der Vliet-Firth is Principal Policy Officer for Skills and Culture at London Councils, which represents the collective voice of the 32 London Boroughs and City of London Corporation. Previously, Spike worked in London local government delivering business transformation and organisational development. For 2016-17, Spike was named as The Guardian UK300/ Total Jobs ‘Rising Star’ for Local Government. Kimberly Willems is Project Manager for N8, the organisation behind Museumnacht Amsterdam. Since 2016 Kimberly has coordinated venue partnerships and programming for the annual one-night event. Kimberly also consults on night-time cultural programming and audience development. Lucy Woodbridge is Head of Visitor Events at the Natural History Museum. She is responsible for the public events programme, overseeing a highly profitable programme of 50+ events per year. Previously a public programmer at the Royal Air Force Museum in North London, Lucy looks to create relevant, unique and engaging experiences in public spaces.